Here is a check for your first article on the "Star of Bethlehem"3 just to show you that you are not altogether forgotten. Your story "A Higher Critic"4 has passed the supreme Court and will appear in the March Monthly5, that is if you consider six dollars sufficient compensation for it. Let me know if that will be O.K. 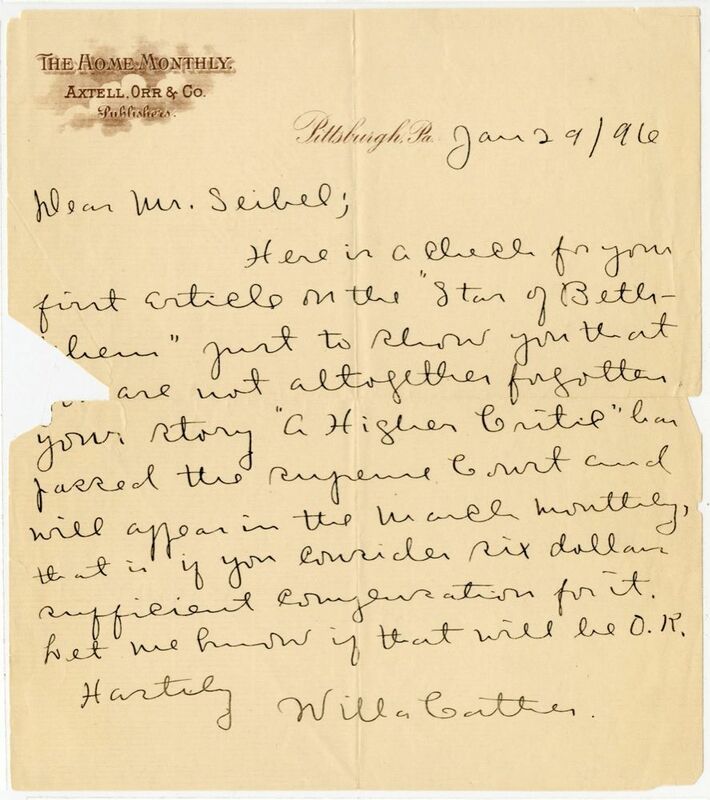 This letter was actually written in 1897, not 1896 as Cather writes, since Seibel's "The Star of Bethlehem in Mediêval Legend" appeared in the December 1896 Home Monthly and "A Higher Critic" appeared in the March 1897 issue.